Recently I was surprised to hear one of my colleagues had never heard of the term “decking.” That instance got me thinking, glass techs do speak a language of their own. A good example is from previous Education Committee debates, where I learned there are a lot of colloquial names for plastic sticks like, bones, fiber sticks, and the always popular “pooky sticks”; different terms were used based on the location. Decking refers to the act of pressing the glass downward into its final position on an applied adhesive. A common phrase would be, I decked the glass into position on the pinchweld. Considering this term doesn’t exist in my computer’s dictionary for some reason, I thought it might be added to our glossary for that reason alone. 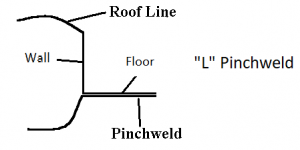 Everyone knows what a pinchweld is, a periodic weld between two layers of metal. It’s a part of the vehicle frame that a glass part is adhered to. An exposed-edge glass part is any glass part with an unprotected edge. It can still have an underside moulding attached, but the very edge of the glass is exposed. The bead is an extrusion of the urethane adhesive, and is usually found on the under edge of the glass part. However, it can also be recessed on the bottom of the glass. Sometimes the bead is applied to the glass and other times applied to the vehicle frame (pinchweld). The true term for the “cowl” is the cowl panel. It’s a cover located at the bottom edge of the glass and extends to the front of the firewall. It covers the cowl/firewall drains. The panel usually surrounds the windshield wiper posts and covers the unsightliness of the drains and raw metal underneath. The cowl panel should be removed on most vehicles to perform a proper installation. 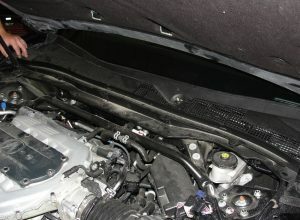 Tucking is the act of inserting the glass under the cowl panel without its removal. 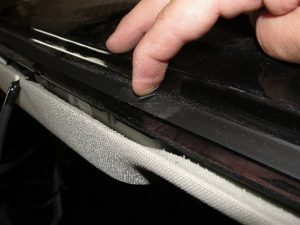 Tucking can displace the applied adhesive and make the glass installation unsafe. It is usually used to save time removing the cowl panel and wiper. These acronyms stand for Safe Drive Away Time and Minimum Drive Away Time. They have been used interchangeably, however the industry wants to begin using the later. 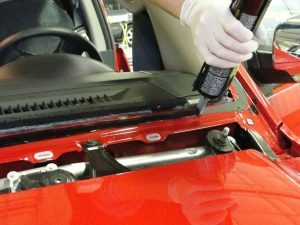 To reach MDAT the urethane must reach the strength necessary to withstand the forces put upon the glass as defined in Federal Motor Vehicle Safety Standards 208 and 212. The titles of these standards are Passive Restraint Systems and Windshield Retention respectively. These terms are only the start. If any of my readers have heard a term used they are not familiar with or if you have some terms we should add, please let me know. Are In-Shop Installations the Wave of the Future? There are benefits and drawbacks to both mobile and in-shop installations. However, the introduction of Advanced Driver Assistance Systems (ADAS) has again brought this issue to the forefront, and added another reason why in-shop installations may be better than mobile. It is possible to reverse a consumer demand for mobile installations to a demand for in-shop installations if you make the decision and change your marketing efforts. In Europe, glass shops have never stopped practicing in-shop auto glass installations and they don’t have a problem convincing their customers to choose quality over convenience. Their customers don’t demand mobile service because it is not offered. In the United States however, we have a problem of our own making. Mobile service began in the United States in the 1950s and we have been doing it ever since. Even with the introduction of moisture curing polyurethane, larger glass parts, one-man sets and now ADAS, we still feel that if we don’t provide mobile service we will not succeed. Think for a moment how much you pay for tools, supplies, vehicles and equipment for delivering mobile service. Think for moment what problems mobile service creates for the delivery of your product. Think for a moment how many callbacks were caused and how much time was wasted because of mobile service. Think about the long-term injuries that result in one-man trucks and mobile service. I challenge all of you owners to put a pencil to the calculation of what mobile service costs you. Then take that revenue saved and see where you could put that money to better use. Would it be in marketing in-shop installation quality? Upgrading your facility to make your customers more comfortable when they are waiting for their vehicle? Renting cars for those that must leave? Buying faster cure urethanes for faster turnaround time? Of course, you can just put that saved revenue directly into your pockets as profits earned. Winter is coming, and in many parts of this country glass shop owners worry about business, both in the number of jobs booked and the weather related issues revolving around the mobile install. If you communicate the importance of a controlled environment installation to your customers they will be more apt to bring their vehicles to your shop for service. It seems like common sense that their vehicle will be serviced better in controlled conditions than to have glass replacement done outdoors in inclement weather. I do realize that mobile service is not going away completely. Some of you don’t even currently have a shop. I also realize that it would be foolish to flip a switch and change everything overnight. However, I feel that through the right planning, training, and implementation, in-shop installations can be increased and eventually take over the percentage of installs now taken by mobile installations. This is not pie-in-the-sky wishful thinking; it does work. I will wager that the analysis you make will open your eyes and you will see the benefits of changing your business plan from primarily (or only) mobile service to primarily in-shop installations. Do you know what a seatbelt pretentioner is? If so, give yourself a prize. Since I have been training professionally and speaking on the safety system addressed in Federal Motor Vehicle Standard 208, I regularly ask my students this question. Most people don’t know what it is, or what it’s designed to do. Many people confuse the pretentioner with the fast-braking belt-locking system. The fast-braking lock is a mechanical device that restricts the slack of the belt in case of a fast stop or brake application. It can be placed at various places within the seatbelt system. It works almost like a pendulum when the brakes are applied aggressively. As the pendulum is forced forward due to the fast stop, it locks into the seatbelt mechanism and restricts the belt from releasing any more slack. The pretentioner is different, however. 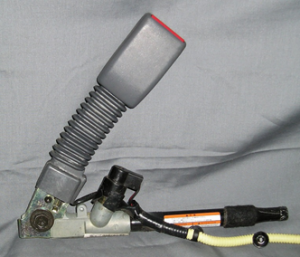 The seatbelt pretentioner is a pyrotechnic device that works with the fast braking lock system. The mechanical locking device restricts any more slack, and the pretentioner takes up the slack that is there and pulls the occupant back into the seat. The pretentioner works on the same circuit as the other airbags in the vehicle so that all systems work together. Some of you may have heard of victims of serious collisions having a burn mark where their seatbelts crossed their torso. That is the pretentioner doing its job of pulling the occupant back toward the seat. You may have a mark for a while, but it can save your life. 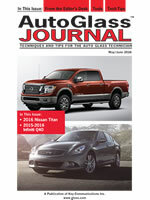 When a door glass, vent glass or any tempered part in a vehicle breaks, the glass can go anywhere. If some of the glass chips get into the housing that surrounds the pretentioner, then removal must be done with caution. You should not dig down into the pretentioner housing to retrieve any broken glass. Tools digging down in the housing could cause damage to the electrical system that triggers the pretentioner. Disassemble the housing and clean out the pieces of glass trapped within. The housing is quite simple to remove, and the results will be cleaner with less chance of malfunction. My advice is not to ignore the seatbelt area when cleaning up a tempered glass break. It can cause a malfunction of the system and possible injury to the vehicle owner or passenger. Just be careful when working in or around the pyrotechnic pretentioner—the cost and time needed to replace it will most definitely eat into your profits on the job. 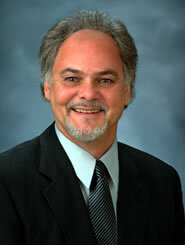 Bob Beranek is the president of Automotive Glass Consultants Inc.